modern family wins catholic oscar! Catholics in Media Associates held their 19th annual ‘Catholic Oscars’. 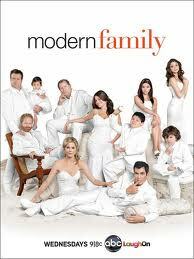 The 2012 award for a television series went to Modern Family. Not surprisingly, the choice came with it’s share of controversy and naysayers. But I say, Wahoo! Below is a re-post from September 19, 2011. It explains why I think this show is worth all the awards it is receiving. One of my favorite movies from last year, The Way, received the Board of Directors Award. Another great choice! Hubby and I love to watch T.V. One of our favourite shows is Modern Family. Our family is hooked on it. The writing is brilliant as are the acting skills of each cast member. Each has developed their character into an over-the-top hilarious personality while retaining a likeable humanness and warmth. You can’t help but love this clan! If you haven’t seen the show, ABC has a brief description on their web page. Along with many other fans, we were thrilled to see Modern Family clean up at the Emmy Awards last night. During his acceptance speech Steve Levitan, co-creator of the series, told a story about a gay couple telling him that “You’re not just making people laugh. You’re making them more tolerant.” As the audience murmured their agreement, he quickly turned the serious line into a joke by pointing the tolerance towards the Jay and Gloria relationship; the old guy and his gorgeous young wife. Yet the line about promoting tolerance has a lot of truth in it. Humour can be one of the best platforms to present deeper realities. And T.V. sitcoms can be great vehicles for promoting larger discussions around issues of the day. Remember the bigotry of Archie Bunker? How about the anti-war messages of M.A.S.H., the single mother plot of Murphy Brown, or the famous coming-out episode of Ellen? Each time sensibilities and political correctness were challenged, loud voices proclaimed the need for upholding morals in our society. The voices were not only loud. They were almost always judgmental. Today, battle lines are constantly being drawn between competing definitions of family. The battle-fields are in our churches and the political sphere. It’s yet another debate that has trads and libs facing off, each claiming the moral high ground. The reality is that we are no longer a Leave it to Beaver society; if we ever were one. Our society is becoming more multi-cultural and more diverse. We are just beginning to understand that issues of gender are not always black and white. Families now come in all shapes and sizes, blending and mixing as never before. Modern Family shows that it’s not the physical make-up of a group that makes a family. Each family on this show has its own issues and struggles. They get on each other’s nerves within their own family unit, and with the extended family. They screw up, and they constantly make up. At the end of the day they are committed to each other and love triumphs over all. They are as human as they come. They are family. Our purpose in life is to come to see and to show what we really are in Christ. A hug is an outward sign of an inward grace. It expresses our spiritual oneness with God and each other. What could be more beautiful? via Hugs are an outward sign of inward grace | National Catholic Reporter. Please do read the above essay by Michael Leach. Warning, it might give you an uncontrollable urge to hug someone. One daughter always warns her friends that they may get hugged at the door. But, the ‘hug or not to hug’ question sometimes requires a game-time decision. I hate making decisions, so usually open my arms to welcome someone new. When in doubt, hug…right? Not always. When someone seems really ill at ease or shy, a hug can be truly an awkward thing. Just like the ‘dead fish hand-shake’, the ill-at-ease-light-pat-on-the-back-and-oh-so-swift-distancing can feel like a rejection. In those cases, I just make a mental note. Next time, a warm greeting and perhaps an outstretched hand. But, I have also been in situations where cultural traditions must be respected. Physical closeness can be seen as not only an intrusion, but as the height of rudeness. This must be respected in order not to offend. And then there’s the wonderful European embrace…arms on shoulders and the double cheek kiss. After a lot of head butts, I’m still trying to master this one. Which side do you start with? And then, just when I think I got it, someone pulls out the triple kiss! 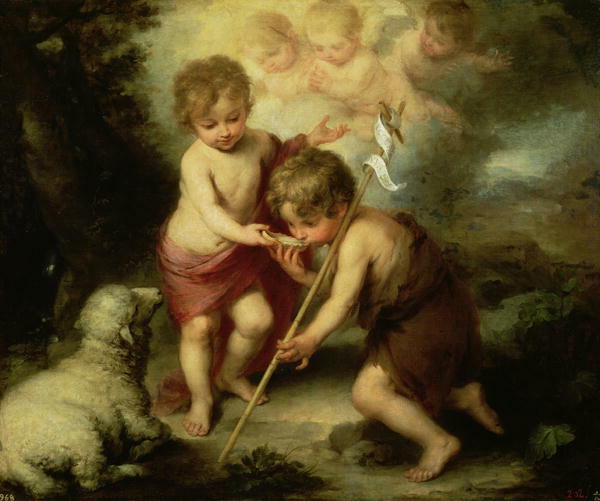 The miraculous circumstances surrounding the birth of John the Baptist had local tongues wagging. First, dear elderly Elizabeth becomes pregnant well past her child-bearing years. Daddy Zachariah is struck dumb after questioning the heavenly messenger`s announcement. After the boy is born, Mama insists on calling him John; the name given by the angel. Hubby seconds the motion, writing his approval on a tablet. And, lo and behold, Papa`s voice returns! This was no ordinary birth. How could his life be ordinary? What, then, will this child become? We ask this question of all the children in our lives. A newborn elicits deep pondering about hope, potential and promise. The wee face and body provides only a twinkle of a glimpse into future looks and personality. Changes appear daily. From toddlers to school-children, individual talents and challenges begin to emerge. As bodies grow, characters are formed. Having five children of our own, we were always amazed at their uniqueness and diversity. By high school, the first hesitant attempts at planning a future life begin. We now know, from experience, of the heavy stresses placed on our young people as they discern career choices and life`s paths. Who knows at 18 years of age what this child will become? Through the twenties paths are tried and tested. Some lead in a simple straight line to fulfilled dreams. Most wind through and around different places, providing either freedom or uncertainty depending on where the mind and heart are residing. Perhaps as our children begin their own families, we can finally breathe a sigh of relief. We now know what they have become! But, we all know that life is full of surprises, unexpected challenges and new opportunities. Untried paths can open up before us regardless of the time of life we are in. I am in my middle years, still wondering what I will become. As the holy season of Christmas approaches, we prepare to celebrate the coming of the most extra-ordinary babe, born in the most ordinary surroundings. His miraculous birth has tongues wagging to this day. He showed us the blessedness of each child born, the sacredness of each life created by a loving God. Here`s to all the children in our lives – young and old. May we all trust in God`s loving plan for each of them; and always be open to the surprises along the way! Wishing you all a joy-filled and blessed Christmas!